Collaborative practice is a new method of dispute resolution, used mainly in family law matters. By taking a non-adversarial approach, it challenges the strictly positivist view of the lawyer as ‘zealous advocate’ for the client. As such, it has received much criticism from the established Bar and legal profession. 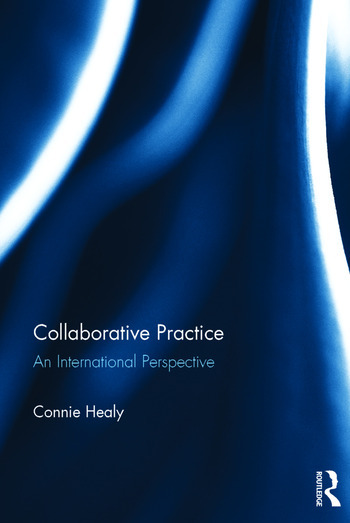 This book provides a doctrinal and empirical analysis of collaborative practice with a view to assessing its place within the dispute resolution continuum and addressing whether this criticism has been justified. It begins by establishing the theoretical underpinnings of conflict and differing approaches to conflict resolution, the impact of the comprehensive law movement and therapeutic jurisprudence. The origins and development of the collaborative process and the framework it provides for a multidisciplinary approach to conflict resolution is outlined. The book addresses the examination of the process undertaken in the lead up to the enactment of the Uniform Collaborative Law Act in 2010; now regarded as a model of best practice. Finally, through an examination of empirical research undertaken in the US, Canada and in England and Wales, and in presenting the results of the first known empirical research into the process in an Irish family law context, the book concludes with an evidenced based analysis of the process from the perspective of couples who chose to use the collaborative model to resolve the issues surrounding their relationship breakdown, collaborative lawyers and lawyers who do not advocate a non-adversarial approach. As such this book provides a valuable insight into the process which will be of interest to: academics; practising lawyers; members of the judiciary; researchers in the fields of conflict resolution and family law and for students studying alternative dispute resolution (ADR). What is Therapeutic Jurisprudence and How Has it Been Received? Are collaborative lawyers taking on a higher level of ethical standards? So why would lawyers agree to engage with this process? Chapter 3 – The Advent of the Uniform Collaborative Law Rules/Act 2010 and the ripple effect. Chapter 4 – What has the research revealed? Is it only for low conflict cases? Is it an easier option for lawyers and clients?